Alder Energy Systems LLC, a trusted South Carolina turnkey solar provider, is pleased to announce the completion of its latest solar project for Ross Printing. This project utilizes 225 Hanwha Q Cell solar panels to produce 86 MWh of clean energy annually. Alder Energy projects the 66.375 kW project will offset all of their annual energy use. 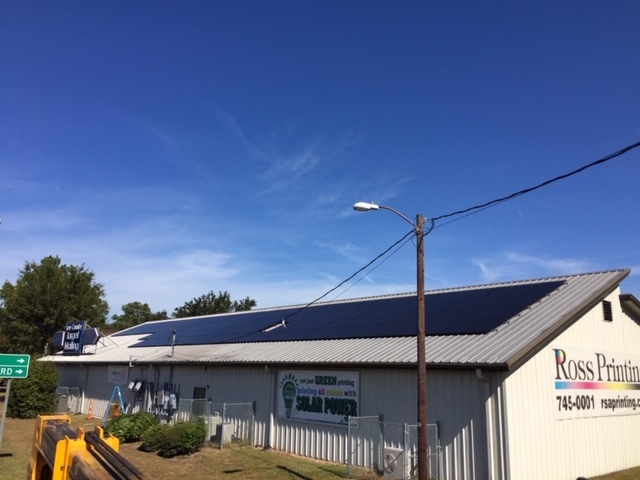 “We were excited to be able to consider using solar power to run our operation. In addition to the environmental benefits, the federal and state tax credits made it affordable. We will be able to offset nearly all of our power usage and the cost of the system is about what our average power bill runs. On top of that, in 4-5 years, when the system is paid off, we should be able to save over $15,000 per year. As my CPA told me, ‘This is a no-brainer.’ The Alder crew has been friendly, knowledgeable and diligent. I will recommend them at every opportunity.,” says Ross Printing Owner Jeremy Ross. Ross Printing is located just off of I-26 at 2139 North Boland Circle North Charleston, SC and the solar array is visible from the highway. They specialize in providing the most complete product line, at the highest quality, with superior customer service. “It was great working with an open-minded business leader like Jeremy Ross who wanted to learn how solar could benefit his bottom line. Ross Printing and Alder Energy Systems worked together to help retrofit and create a Commercial Net Zero Energy building. 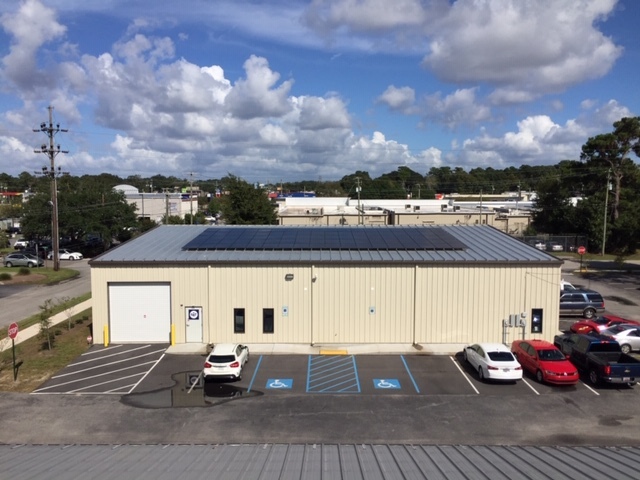 Our Alder team designed and installed a solar system that is projected to produce as much renewable energy to the building as it will consume over the course of the year. In addition, we worked with Ross to help structure creative financing, in combination with all the tax benefits, to help preserve cash while producing an attractive ROI. Jeremy also incorporated energy efficient strategies, such as upgrading their HVAC system. This project was a great example of sustainable energy growth in our community. We also found a great local partner that supplies Alder with ‘top notch’ printing and marketing needs. A true Win-Win situation.,” says Director of Commercial Sales and Finance, Alex Nicholas. Alder Energy Systems has experience working hand-in-hand with energy companies to create large-scale clean energy solutions. We work closely with our clients to create the optimal solar system for your unique needs. Contact us today to discuss your needs, and be sure to ask for a quote.